Will SIM-only really save you money? Amigo Loans research shows that you can save up to £363.00 with a SIM-only deal. It’s no secret that if you want an all-singing smartphone, you need to be prepared to dig deep. But what’s not widely known is that considerable savings can be made by swapping your contract for a SIM-only package. In fact, Amigo Loans research shows that, in some cases, as much as £363.00 can be saved, just with a little know-how. Amigo Loans looked into the best-value-for-money contracts, including SIM-only deals for the iPhone 7 and iPhone 7 Plus. Take a look at our findings and see if you can bag yourself a bargain. The best mobile phone deals can vary significantly, and this means you have to do some serious digging to find a package that suits you. Using Amigo Loan’s SIM Only vs. Contract Calculator, you can see that Vodafone has the cheapest 24-month deal for the iPhone 7 – coming in at a total cost of £1,007. Meanwhile, O2 has some of the highest charges over 24 months, costing customers up to £1,271, depending on the amount of data included within the plan. When we compare both of these deals to the SIM-only options available, we can see that considerable savings can be made. If you were to buy the iPhone 7 outright and then sign-up for a SIM-only deal, you could save £211 on the Vodafone package, and £108.99 on O2’s offering. 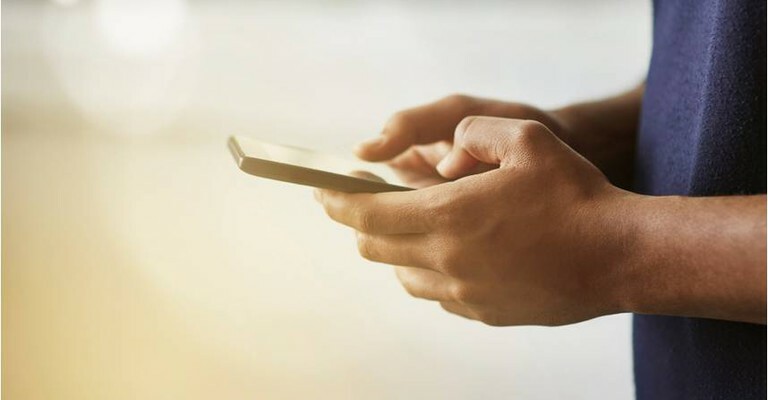 With more and more people browsing the internet from their smartphones, we were shocked to find mobile networks offering poorer data packages for customers who take out a monthly contract. When we look at iPhone contracts, we see that many mobile networks include more data in their 12-month SIM-only deals than their monthly contracts. For instance, Vodafone offers 8GB of 4G internet on its current £17.00 SIM-only tariff, but only 3GB for its £47.00 iPhone 7 tariff – plus a £90.00 upfront cost for the handset! Similarly, EE offers 8GB of data on its 12-month £27.99 SIM-only deal, but charges £55.99 a month on its iPhone 7 contract, which only has 7GB. This also has an upfront fee of £9.99. In almost all cases, customers can find SIM-only deals that are cheaper in the long-run and include better-priced data plans than monthly contracts. While it can pay to swap your contract for a SIM-only deal, in the long-run, there are also a few other things you can do to prevent your bank balance taking a hit. When you’re looking for a new mobile phone, it’s easy to want the model with the most storage and the highest screen resolution. On the other hand, you could save yourself quite a bit of cash just by choosing a slightly less expensive model. For instance, you can save up to £320.00 by choosing the iPhone 7 32GB, rather than the iPhone Plus 7 256GB. Yes, the latter has more internal storage and a bigger screen, but is this essential to what you’ll be using the phone for? A great way to save money on a new mobile is to trade in your old phone or recycle a broken phone. By checking how much your old handset it worth on sites like Mazuma and Carphone Warehouse, you’re able to take a considerable chunk out of your initial payment. The current trade-in deals offer up to £300 for an iPhone 6s or £240 for an iPhone 6. You can also save even more by using cashback websites. These sites will pay you money back on purchases made when you shop through them. Using Quidco or TopCashback could earn you up to £110 in cashback when signing up to a new SIM-only deal. One of the best ways to find great deals is to ditch your current provider and seek out a new network. If you’re looking for an iPhone 7, most networks won’t reward their long-term customers, instead offering the best deals to new customers. If you can exit your current contract without incurring any penalties, you could find more affordable deals.